Since September, Puerto Rico has been making headlines, as two category five hurricanes, Irma and Maria, made landfall on the island. We’ve all seen the devastating images from the mainstream media and have heard a wide range of reports on the recovery process. As stewards of the island, CASPR has taken the initiative to see the damage first hand and to aid in relief efforts throughout the US territory. This piece focuses on the big questions clients and advisors are asking. The eye of Maria blasted through Puerto Rico, delivering 160 mph winds and more than 20 inches of rain, in just under 24 hours. Hurricane Maria started in Palmas Del Mar, making her way north-northeast to the most densely populated parts of the island – San Juan, Condado, Bayamon, Guaynabo and Dorado. While preparations for Irma were previously rehearsed, no amount of planning could have protected the island from its largest hurricane since 1992. Electric and communication grids failing, roads washing away and subsequent flooding from debris clogged drainage systems compounded into a humanitarian crisis. We visited families in the remote mountain town of Ciales and even 20 days after Hurricane Maria, we were the first outsiders to reach them – no FEMA, no Army Corps of Engineers, no local help. While some parts of the island will never recover and migration is nothing but certain, the way of life is improving every day and we remain bullish on Puerto Rico. It is fair to say that this is the bottom many have been talking about and waiting for since 2012. The Governor’s office has created a website highlighting the infrastructure’s current status – you can check out the numbers for yourself here. Power and internet are back in the San Juan Metro area after Maria. Lines at stores and gas stations have shortened from multiple hours to manageable waits, operating at 79% and 89% respectively. About 50% of cell towers are up and service is expanding at a rapid pace – partially thanks to Google’s “Project Lune”. Lune deploys internet balloons, supplying LTE quality communications throughout the world. Last week, it received FCC approval and has been a small win for the island. Google is not the only major corporation making a difference. Walmart has committed $15m to hurricane relief. We saw this first hand, coming by boat and air. After a twitter conversation with Gov. Rossello, Tesla has taken an active role in the rebuilding of the electrical grid. Powerbanks have arrived in Puerto Rico and Musk has personally donated $250,000 to the cause. We will continue to update the Act 20 and Act 22 community on recovery efforts. If you would like to help, please make a donation through our Amazon Wishlist. While many Act 20/22’s are taking advantage of IRS Notice 2017-56, which eases the 2017 bona fide residence test due to Maria, the outlook has been positive and the support has been overwhelming. We have partnered with the Act 20/22 society, created by Robb Rill, Managing Director of The Strategic Group – PR and a fellow 20/22. This group, made of up ex-pat entrepreneurs and executives, has contributed over $$$$$ to the cause. It was not uncommon for us to unload a private charter at a moments notice, coordinate with local authorities and deliver supplies the next day. Stories like this are those that have made the most impact on the island. We have learned that counting on FEMA, The Red Cross or any government organization would be a slow, inefficient path. While unfortunate, the resilience of the private sector shines again – as we expected. We expect 5-10% of the 2,000 decree holders to leave Puerto Rico for good. It is fair to assume that some of these individuals were not fully bought into the idea of “Building a Better Puerto Rico” – something CASPR stands firmly behind. Act 20 and Act 22 decree holders should be aware of the income sourcing consequences from Notice 2017-56. If the business is being operated in the US, income is considered “US sourced” regardless of the business’s HQ. Please contact CASPR or your tax advisor for more info on income sourcing for Q4. Puerto Rico’s road to recovery starts with a reliable power grid. Infrastructure redevelopment is a notoriously slow process, which will likely last through 2018. The government is attacking this through a variety of measures, from importing the world’s top engineers to providing tax credits for power generators – the right steps are being made. In a recent meeting with the Department of Economic Development and Commerce, senior advisors echoed this message, adding an emphasis on renewable energy. We forecast these companies to make up a larger portion of new Act 20 and Act 73 decrees in 2018. Second on Puerto Rico’s list is public revenue. The island has seen its tax base diminish over the past 10 years due to declining economic opportunities and the ease of travel. How is Puerto Rico going to continue to fund its obligations, past, present and future? After years of poor governance, the government needs a new plan, centered around budget cuts and a pro-business environment. The Office of Industrial Tax Exemption has reaffirmed its commitment to programs such as Act 20/22/73/273/399 to jumpstart the economy. 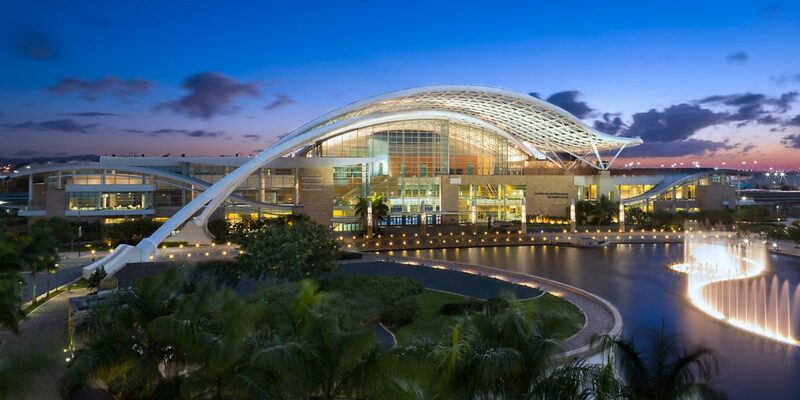 While it is not the be-all end-all, these programs are expected to bring in billions of new revenue and hundreds of thousands of jobs the island would be missing out on. Puerto Rico’s unique relationship with the US, paired with a bilingual workforce and a familiar legal landscape are the building blocks for continued economic development. Finally, what will happen to Puerto Rico’s real estate market? This is the top question for prospective decree holders. Understanding Maria’s effects on commercial and residential real estate will develop over the next quarter. We can expect rental demand to increase as families have lost their homes and will be looking for new ones. While many luxury homes, built from concrete, suffered minor damage, we foresee a buying opportunity in this market from those who are looking to permanently relocate from the island. Another opportunity via a Public-Private Partnership (PPP) with the Puerto Rican government is a strategy we are keeping a close eye on. We have seen that this administration is willing to work with entrepreneurs who have a plan to repurpose certain parcels and we expect this commitment will only grow. Puerto Rico’s road to recovery is certainly longer than most but the pieces are coming together. Federal aid will help rebuild infrastructure, the rainforest and agriculture will grow back, and the resilience of the Puerto Rican people will pay off. We believe 2018 is going to be a great tipping point for Puerto Rico and we will see the first steps towards the island becoming the economic powerhouse it has the potential to be.